Note: Race extended five laps past its scheduled 188-lap distance due to a green-white-checkered finish. ● Kurt Busch started first and finished first, earned 10 bonus points and one playoff point. ● No. 41 Monster Energy/Haas Automation Ford Fusion pitted under caution on lap 12 while leading for fuel and a wedge adjustment. ● Busch started fourth and finished third, earned eight bonus points. ● Busch pitted for four tires, fuel and a wedge adjustment on lap 57. ● On lap 64, Busch pitted for fuel only and a wedge adjustment. ● Busch started 14th and finished 14th. ● The car was still tight, so Busch pitted on lap 112 for four tires, fuel and a wedge adjustment. ● By lap 130, Busch was up to second. ● Busch pitted on lap 138 for right side tires and fuel.Will restart first. ● The No. 41 Monster Energy/Haas Automation started on the front row on the restart on lap 191 and was leading on the final lap when an accident occurred in turn one. No caution was called and Busch ran out of fuel while leading on the backstretch and finished a disappointing 14th. 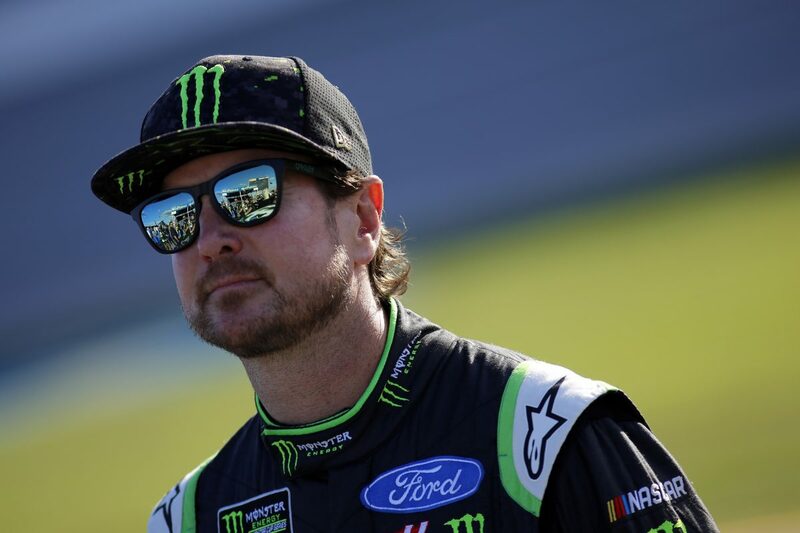 ● Busch finished first in Stage 1 to earn 10 bonus points and one playoff point, and third in Stage 2 to earn an additional eight bonus points. ● Busch led three times for 108 laps to increase his laps-led total at Talladega to 266. ● Almirola’s 1000Bulbs.com 500 victory was his second career Monster Energy NASCAR Cup Series win, his first of the season and his first at Talladega. His margin of victory over second-place Bowyer was .105 of a second. ● There were eight caution periods for a total of 32 laps. ● Twenty-nine of the 40 drivers in the 1000Bulbs.com 500 finished on the lead lap.